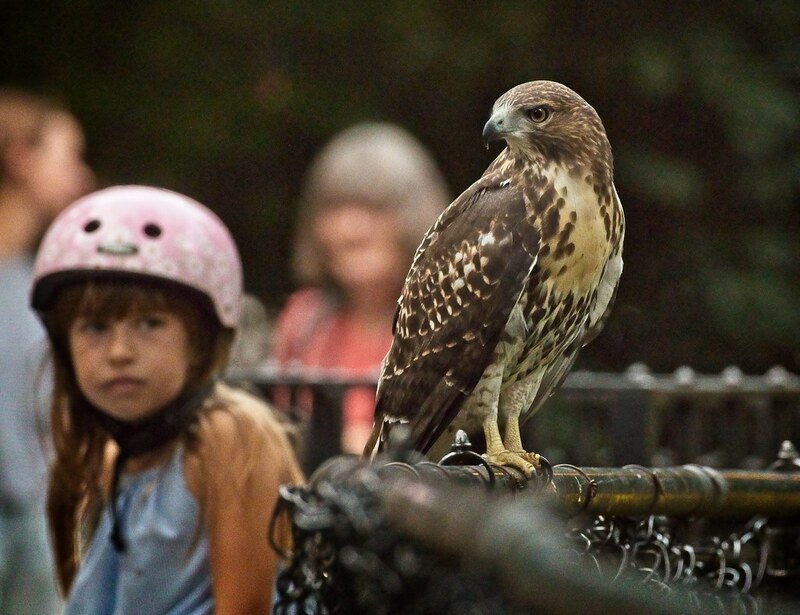 The Tompkins Square Park red-tailed hawk fledgling is still with us as of this fourth week of September, officially making him the first of Christo's kids to stick around this long. 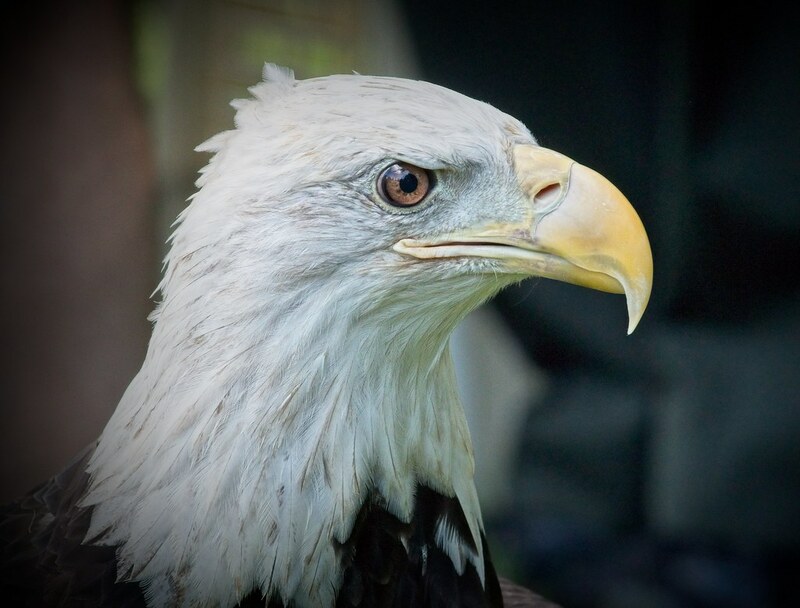 He did hatch a month later than chicks in previous years, and he did have a set-back with illness, but I really didn't think he'd be with us this long. At this point, every day with him is a bonus. 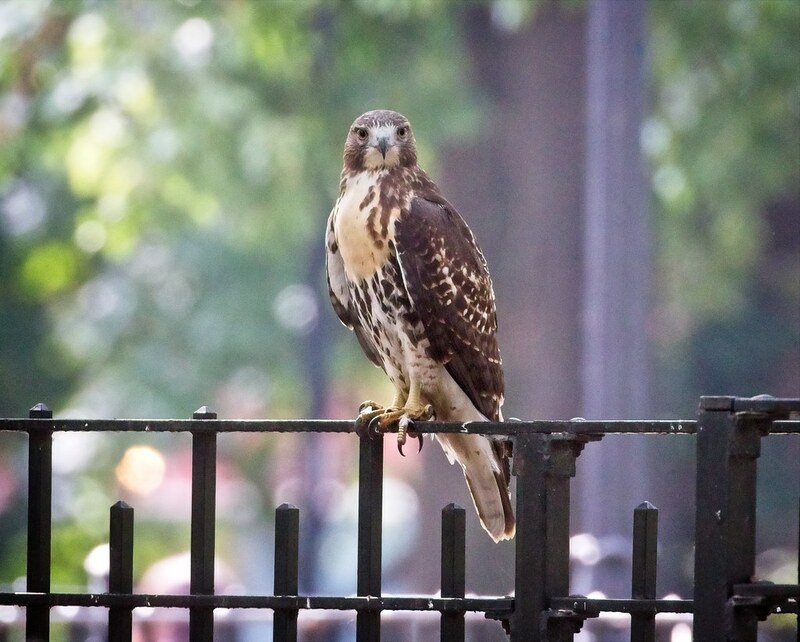 I've seen the fledgling perched on the cross of St Nicholas of Myra church at Avenue A and 10th Street, and eating lunch with mom Amelia on the roof above Mast Books on Avenue A and 5th Street, but I don't know if he's ventured much further from the park than that. 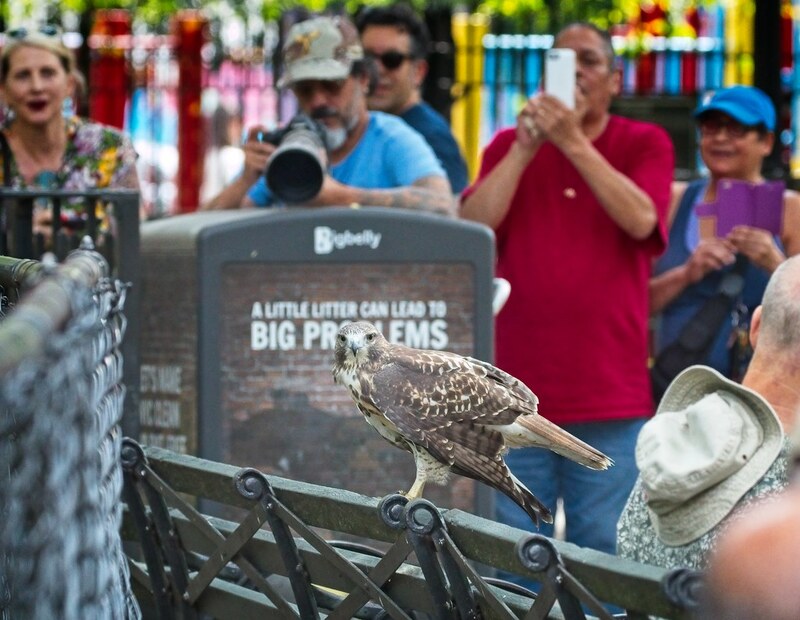 He still seems perfectly happy to stay in the park where he continues to entertain his adoring fans. 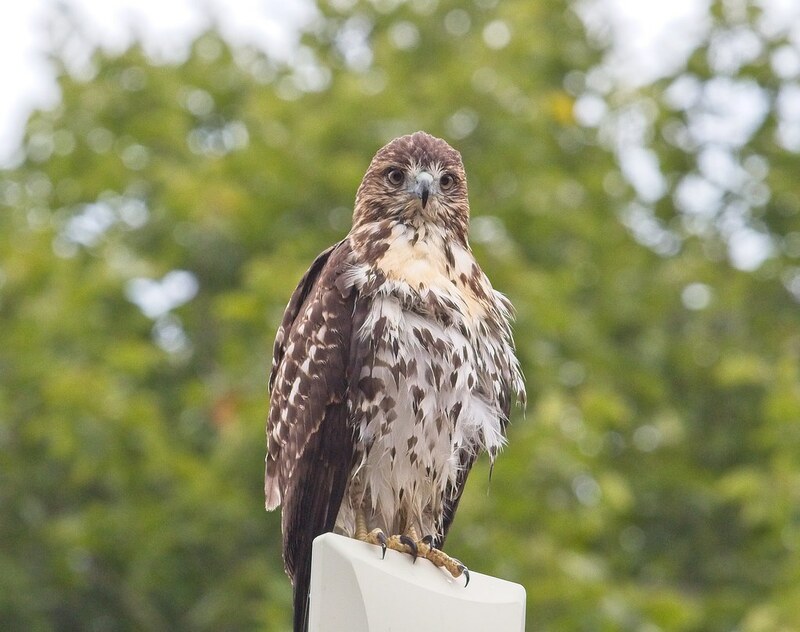 I caught him perched on the cellphone transmitters on the roof of the park bathrooms the other day just after he'd had a bath. 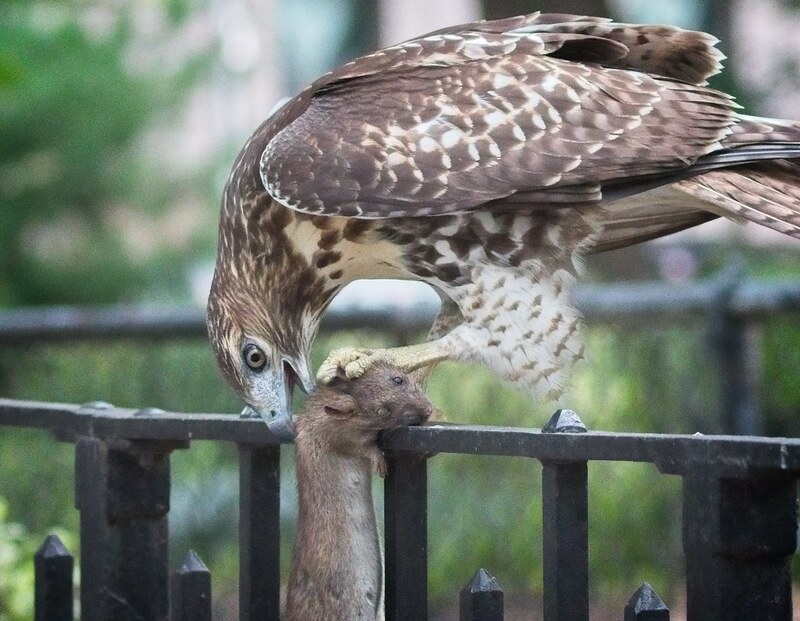 The park squirrels continue to bully and intimidate the young hawk, but one of them finally suffered the consequences and became a meal. 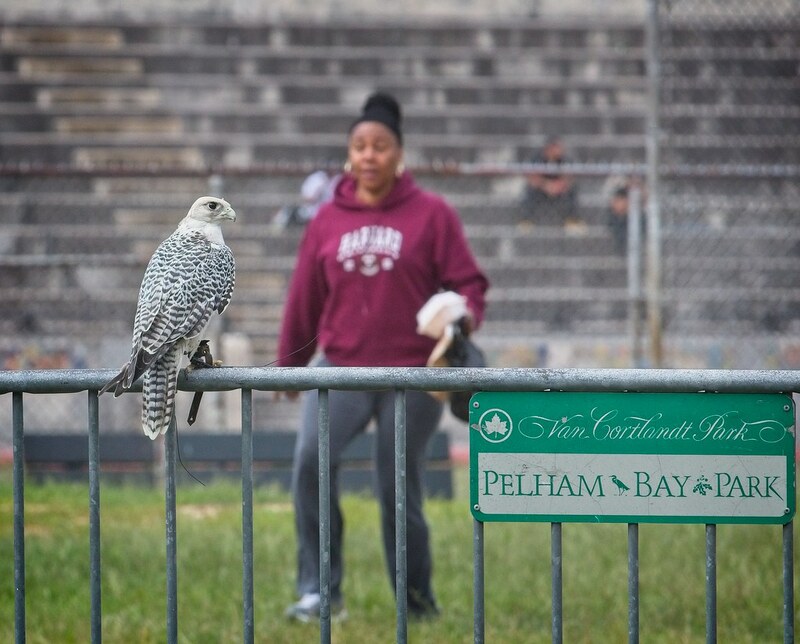 On Monday, I watched as the fledgling caught a monster rat near the basketball courts. 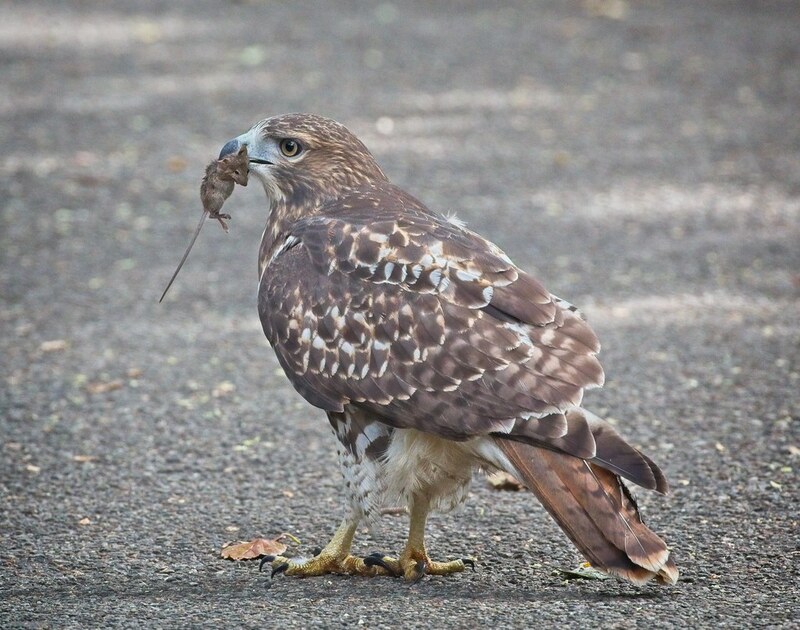 The rat put up a struggle, but this was the fatal bite to the neck. 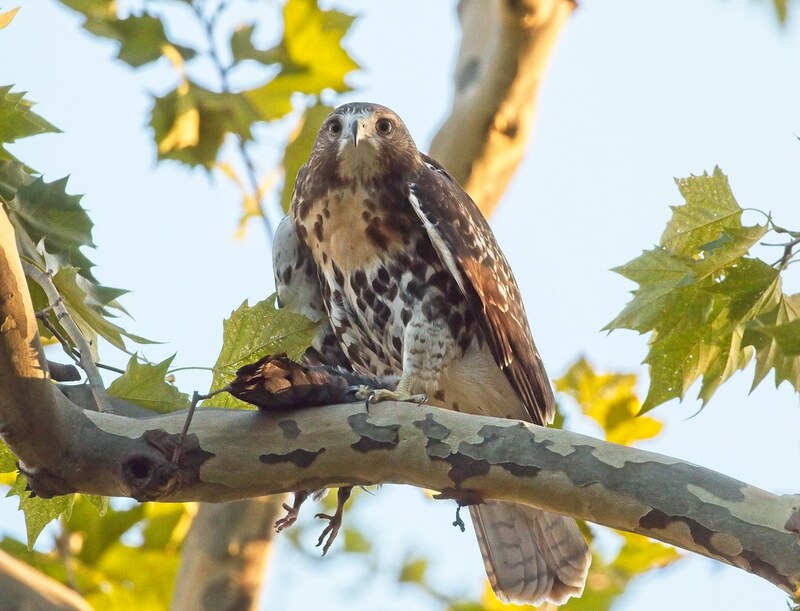 The hawk experienced some difficulties lifting his heavy catch, but he managed to take off and carry it to a nearby tree. A short time later, eating rat spaghetti...mmm! 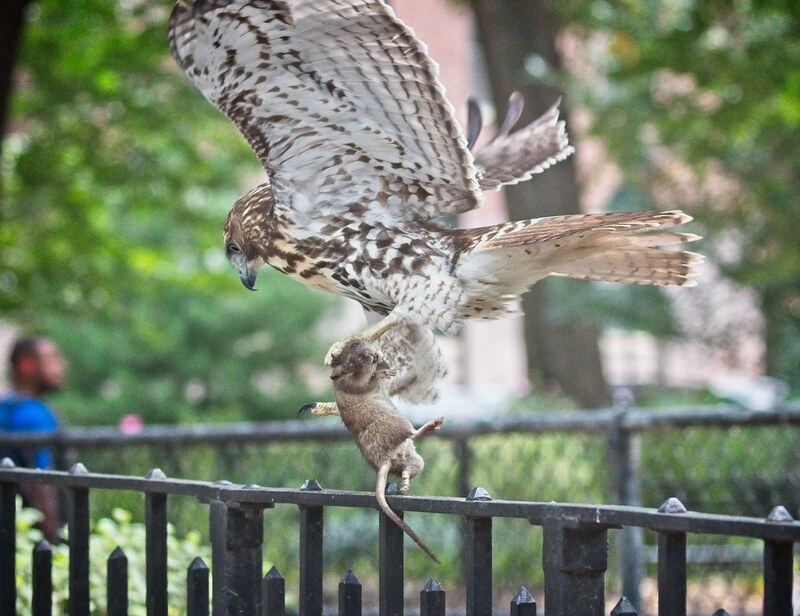 Apparently the giant rat wasn't enough, because after eating, the fledgling went and caught himself a second one. 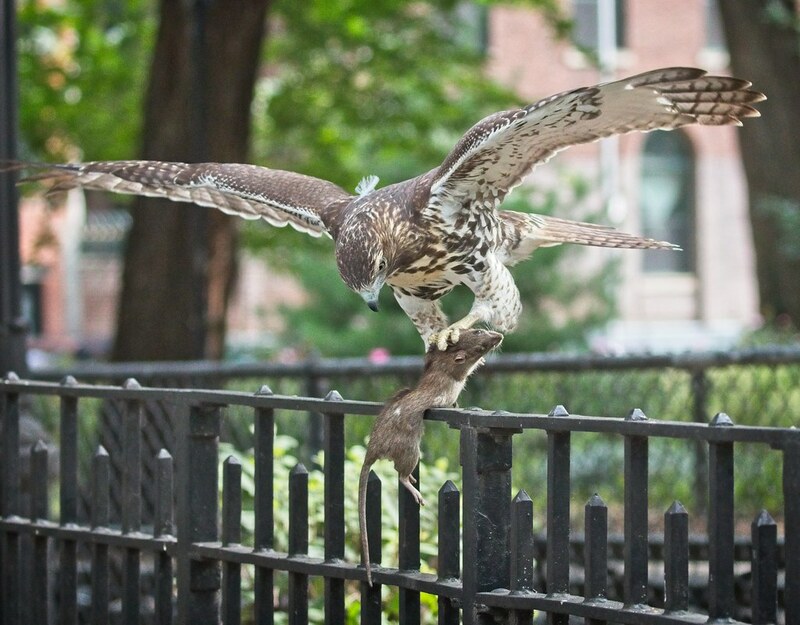 He's doing very well catching prey. 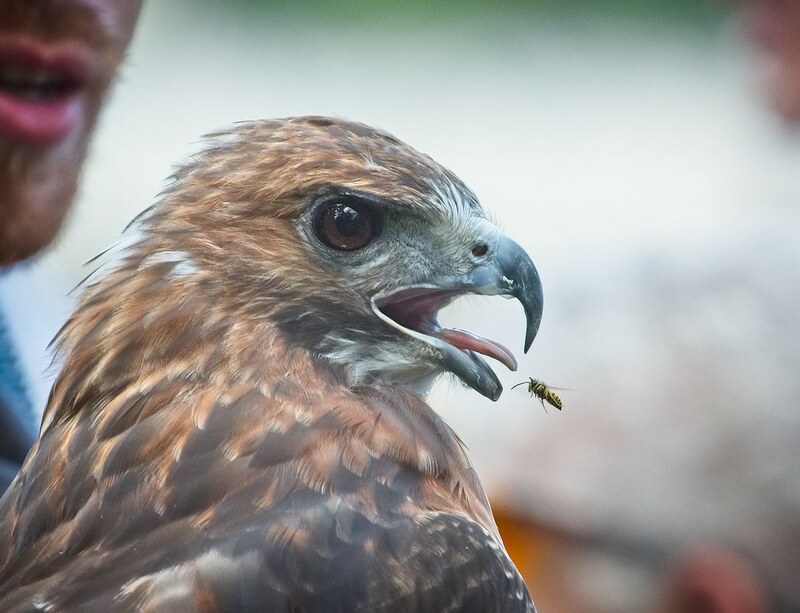 The hawk is still very much a kid and plays with his food. Below, he chest-bumps a mouse before eating it. 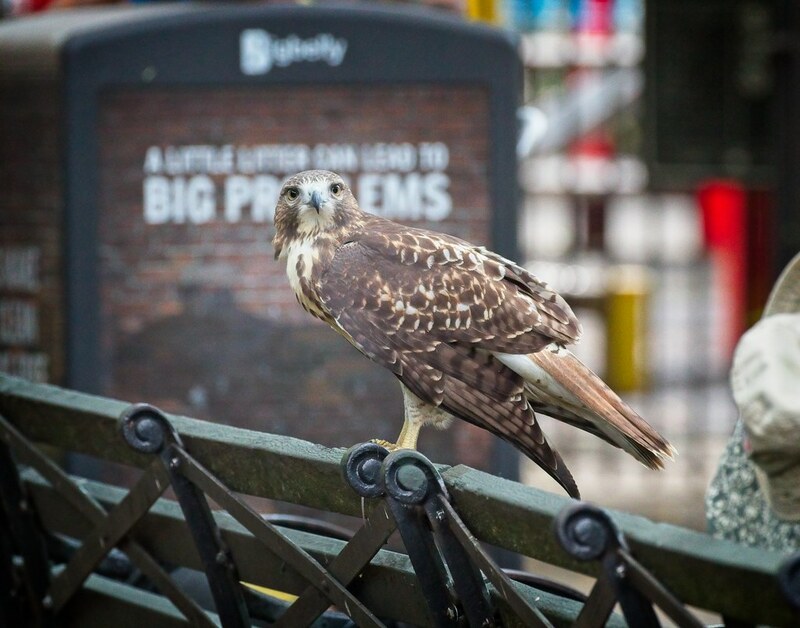 I have no idea how long the fledgling will stick around the park, but I hope he stays as long as possible. He's become a familiar and joyful fixture there, and makes so many people happy. 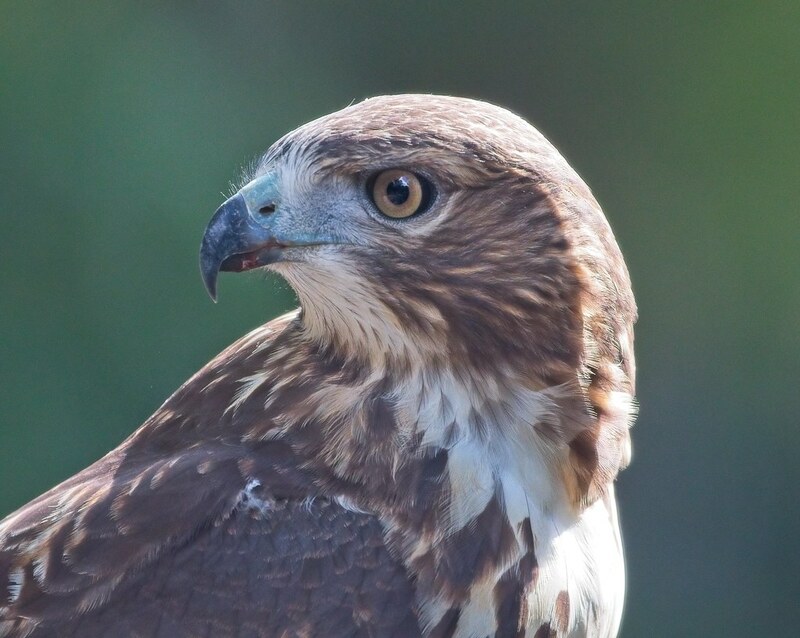 See more recent hawk photos on my Flickr page. 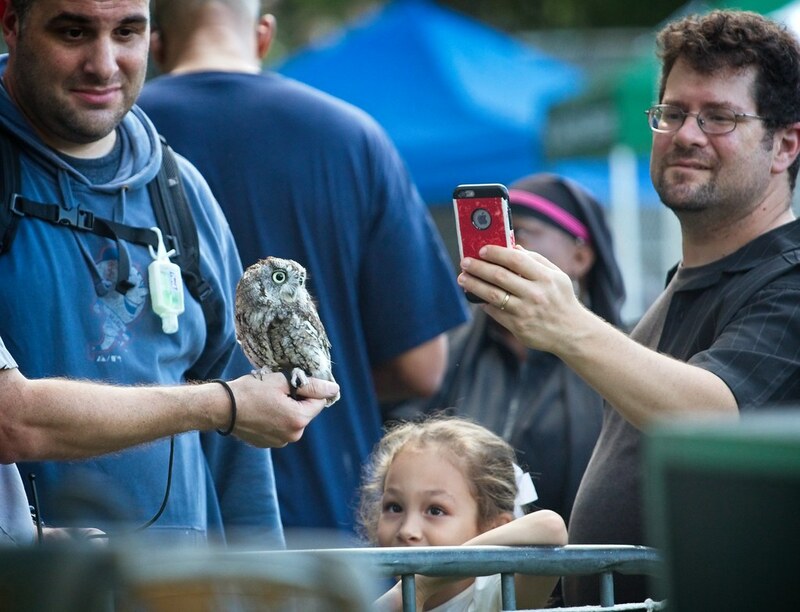 Raptor Fest 2018 is coming up this Saturday, September 15, from 12:00pm - 3:00pm at Van Cortlandt Park in the Bronx, hosted by the NYC Park Rangers. 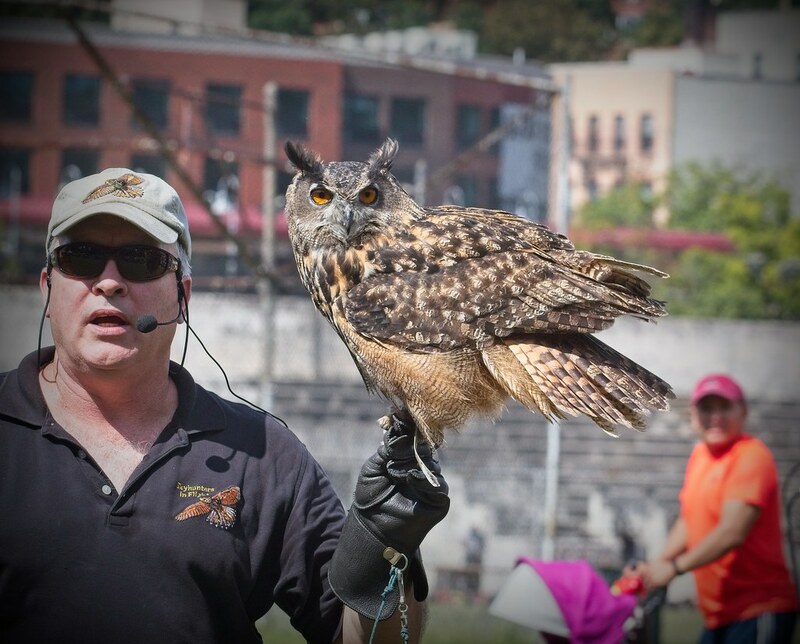 This is a wonderful opportunity to get up close to falcons, hawks, owls and other raptors in a fun and casual environment. 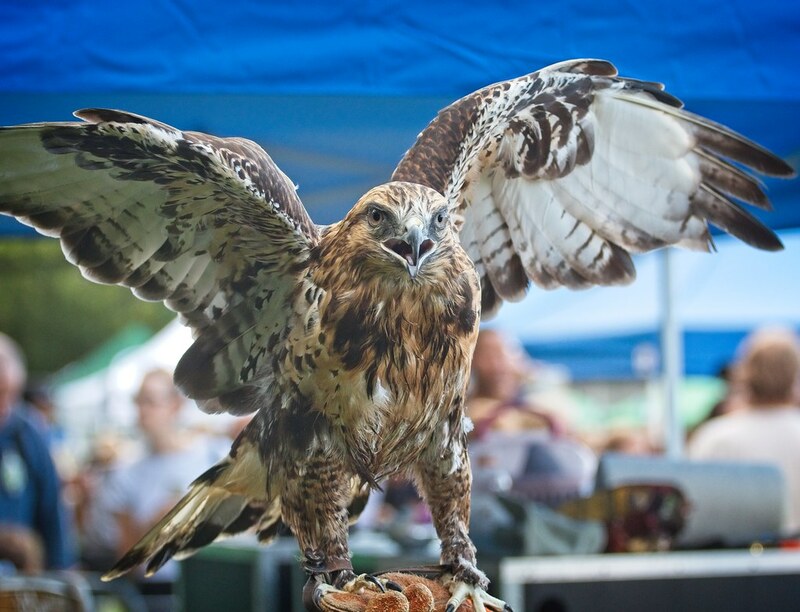 There will be aerial demonstrations and educational activities. 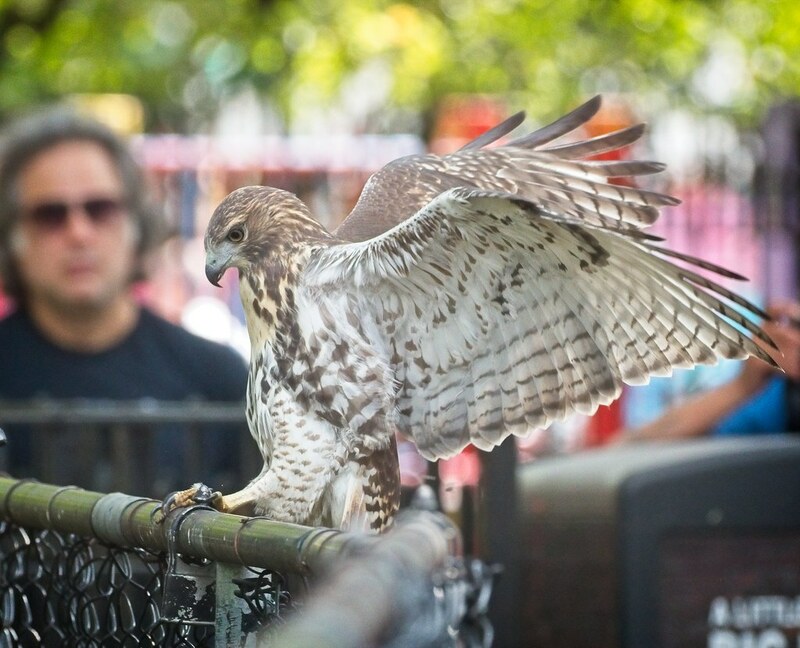 For more information, see the event listing on the NYC Parks Department site. 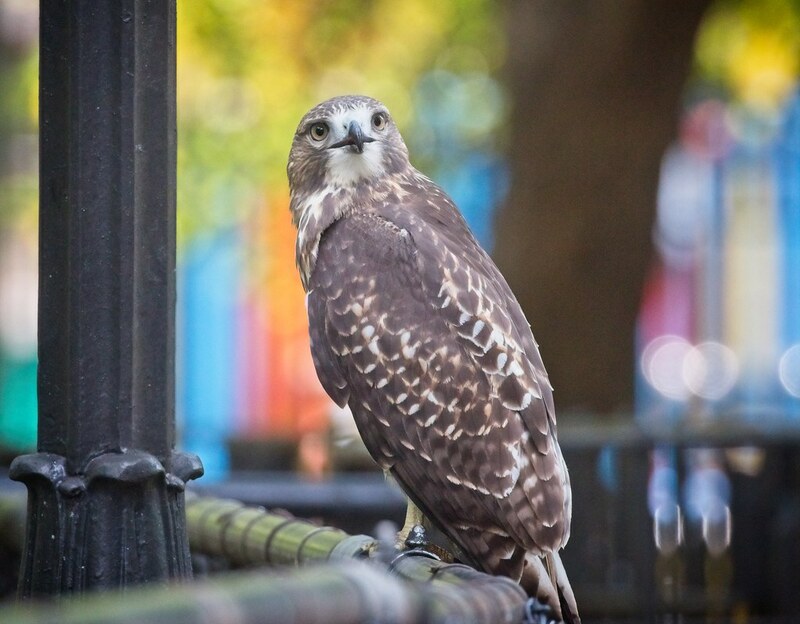 The Tompkins Square Park red-tailed hawk fledgling, who is believed to be suffering from West Nile virus, continues to improve, although he is still not quite right. The good news is he has made it this far, proving he is strong. 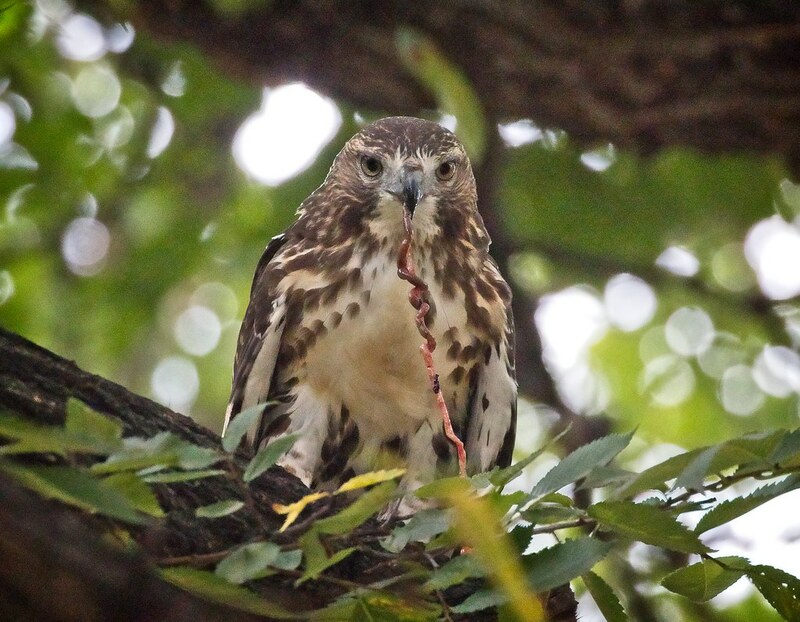 The two images below are from September 3 when the hawk was having one of his slow days. 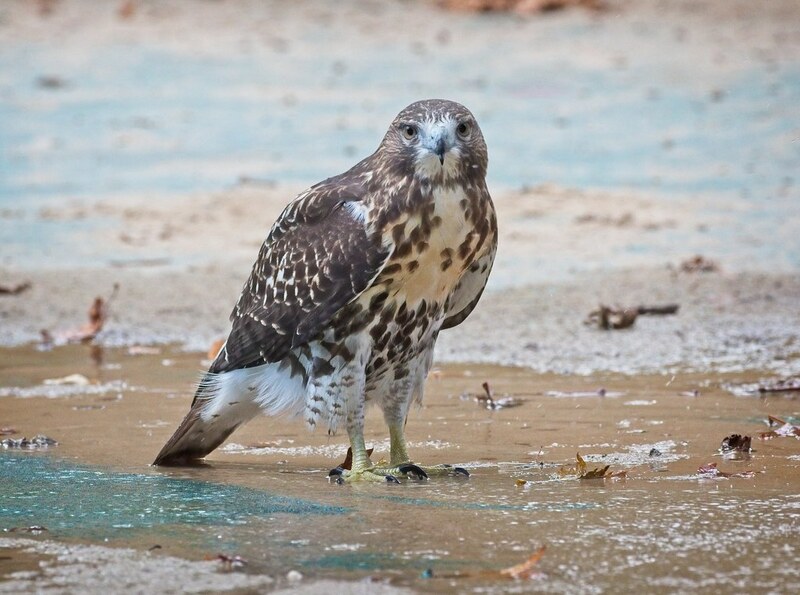 He bathed in the stagnant water on top of the men's room, then rested on the roof for about 20 minutes. 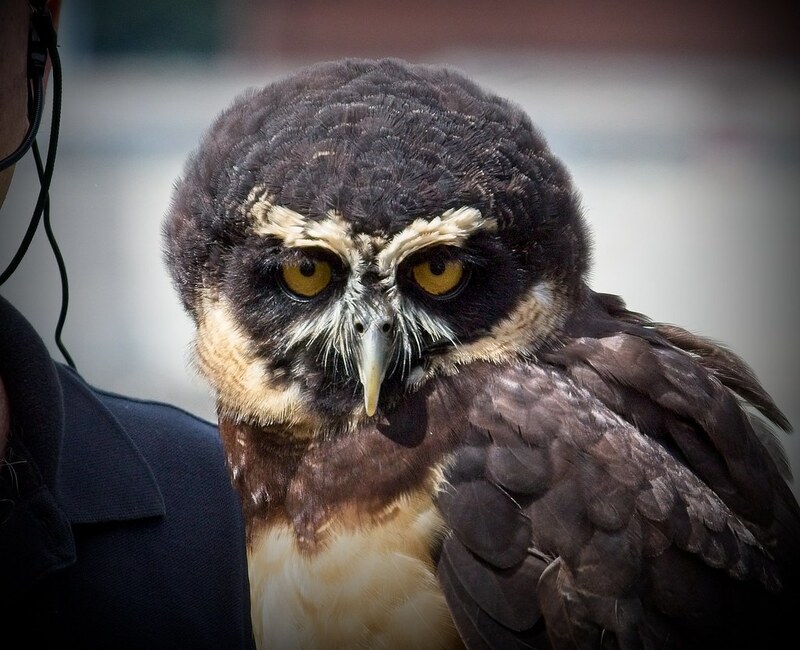 His lack of energy and the way he kept closing one eye were signs he wasn't feeling 100%. 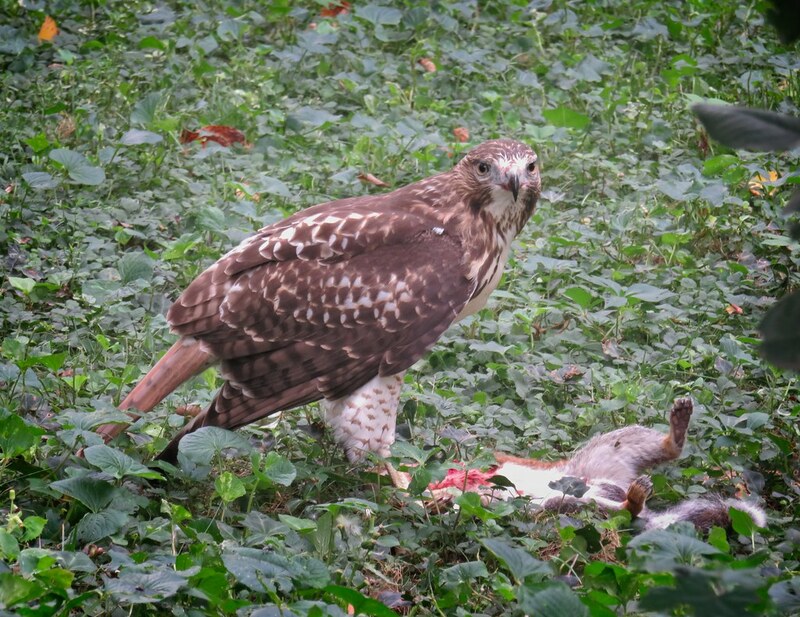 Despite his lethargy, the hawk is still improving, has been hunting, and seems to have a good appetite. 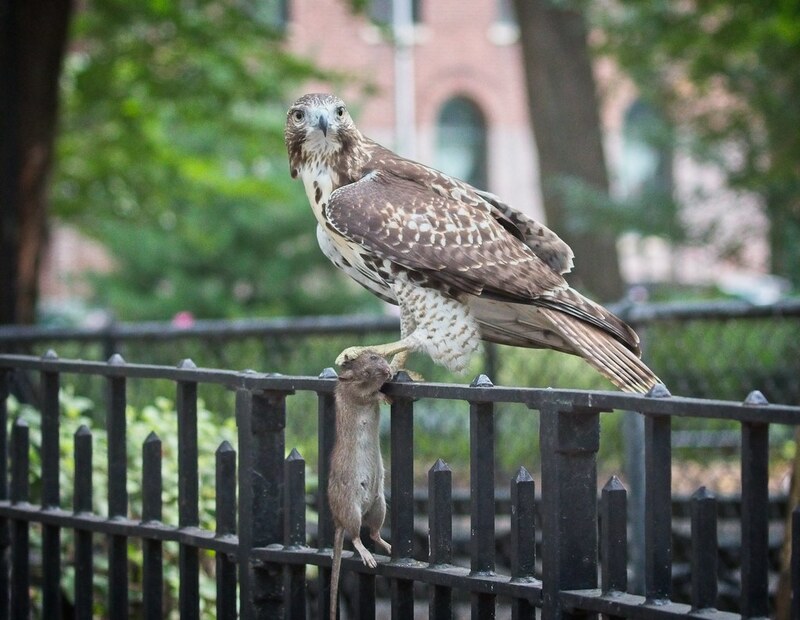 Parents, Christo and Amelia, are looking after him and provide him with supplemental food, like this mouse (below) caught by Christo. 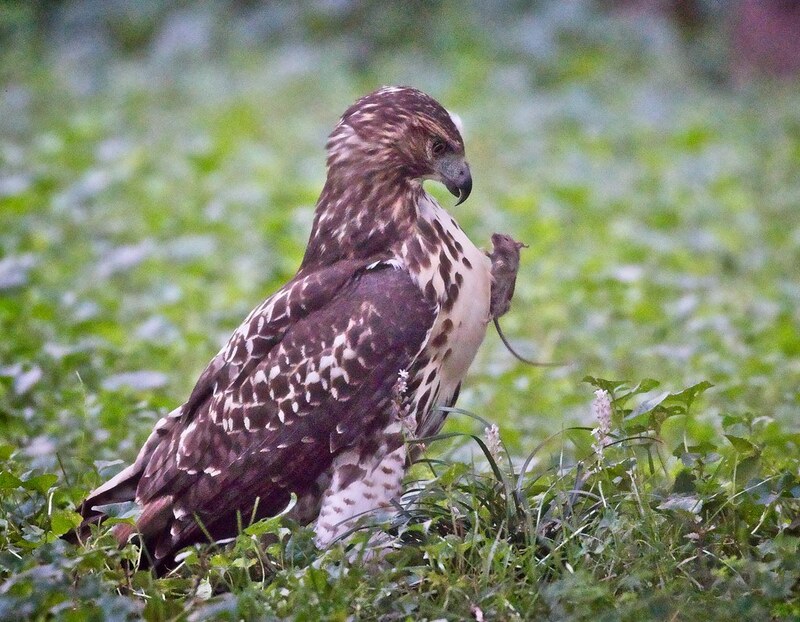 The mouse fell to the ground, so the fledgling had to retrieve it himself. 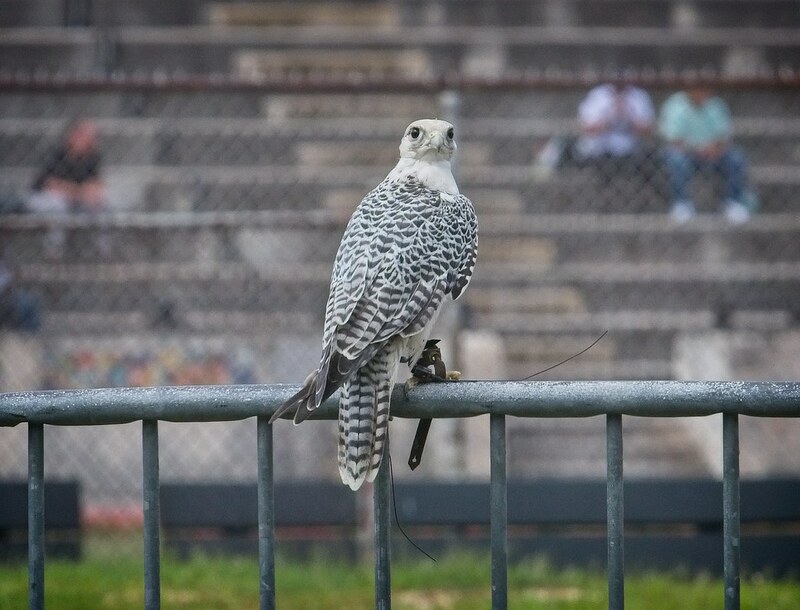 He still prefers low perches like fences and benches, and doesn't seem bothered by the presence of people. 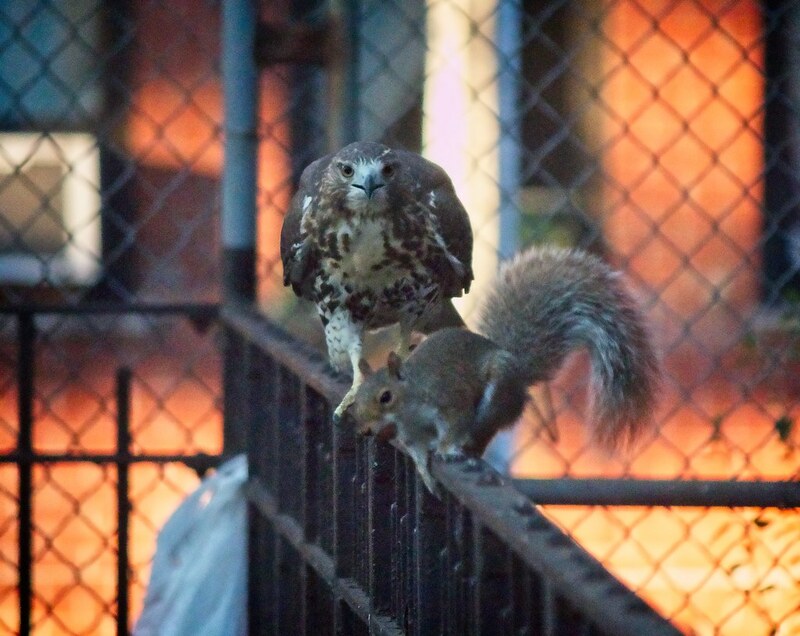 The fledgling is still just a kid, and is often seen sparring with squirrels, who relentlessly taunt him. 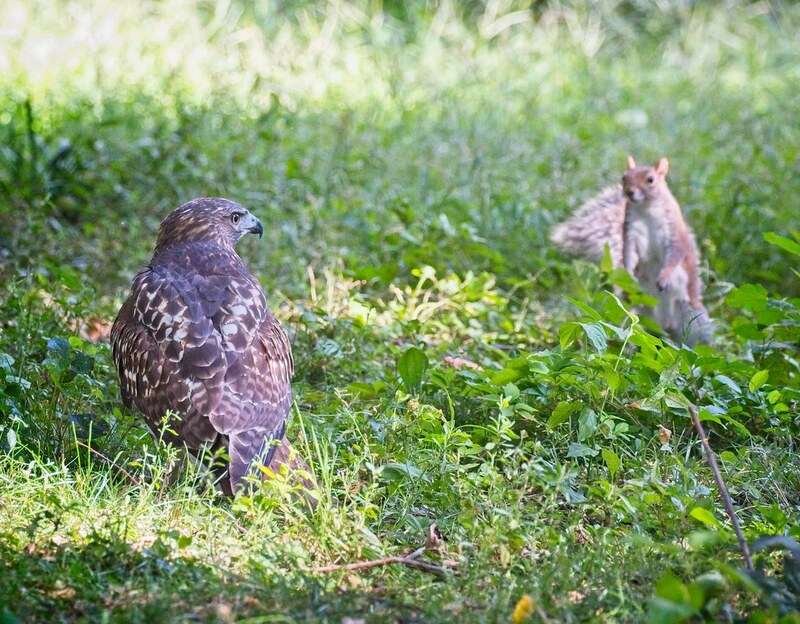 This squirrel is so confident it will get away, it doesn't even drop the acorn in its mouth! 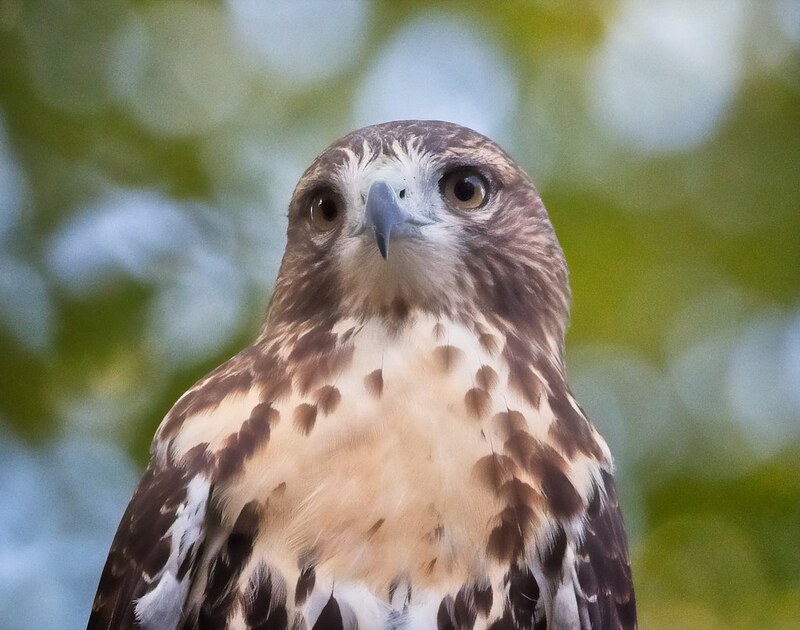 Despite playing around and acting like a toddler, the fledgling is beginning to look like an adult, and I hope he grows into a magnificent raptor. 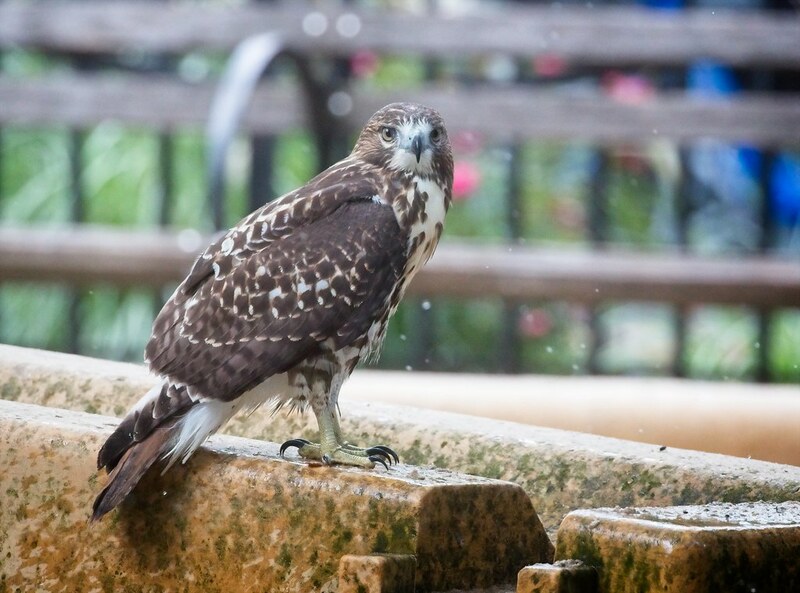 I've been waiting to post an update on the Tompkins Square red-tailed hawk fledgling until I had more information about his health. The consensus seems to be he is suffering from West Nile virus and seems to be pulling through it. However, there is no way to know for certain that West Nile is the culprit without doing blood tests. 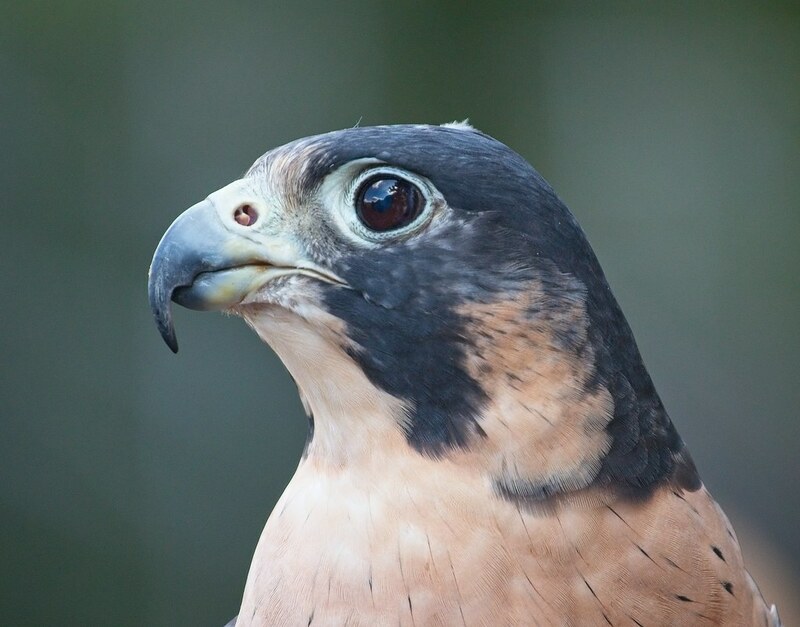 The fledgling has been displaying signs of illness since August 24, and may have fallen ill a couple of days before that. 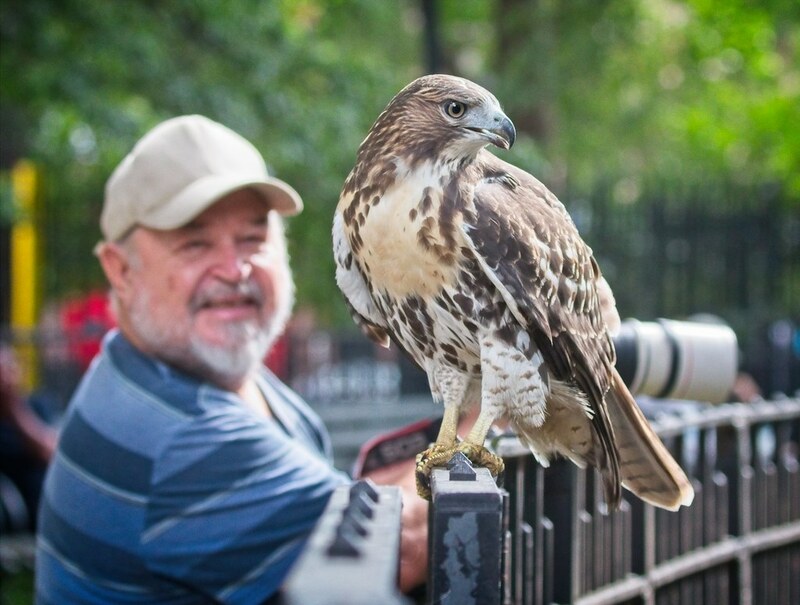 A second attempt was made to capture him last week, but he was too wily and eluded the NYC Urban Park Rangers and raptor rehabber, Bobby Horvath, from Wildlife in Need of Rescue and Rehabilitation (WINORR). Thanks to Bobby and Rangers Jill and Johnny who spent the day in the park trying their best to net the little guy. 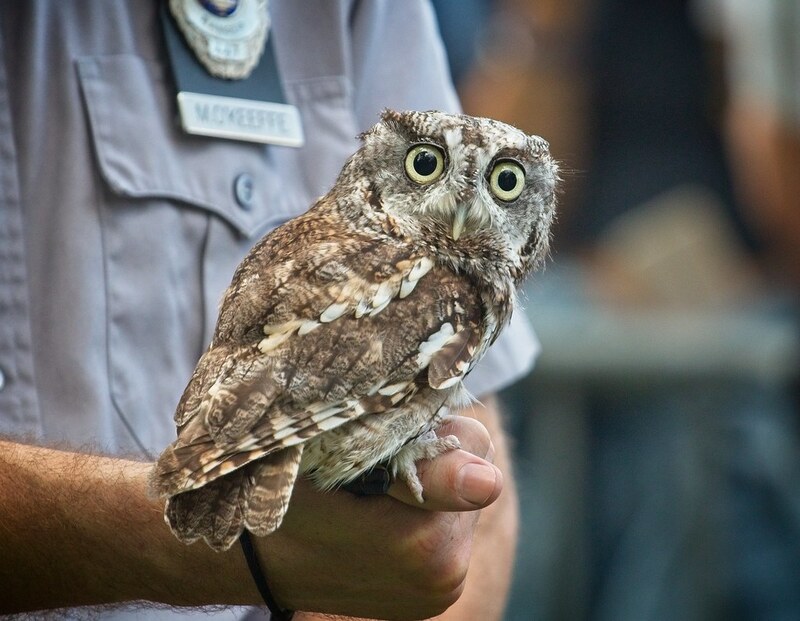 As this is a wild bird, there's nothing anyone can do unless he comes close enough and allows himself to be caught. 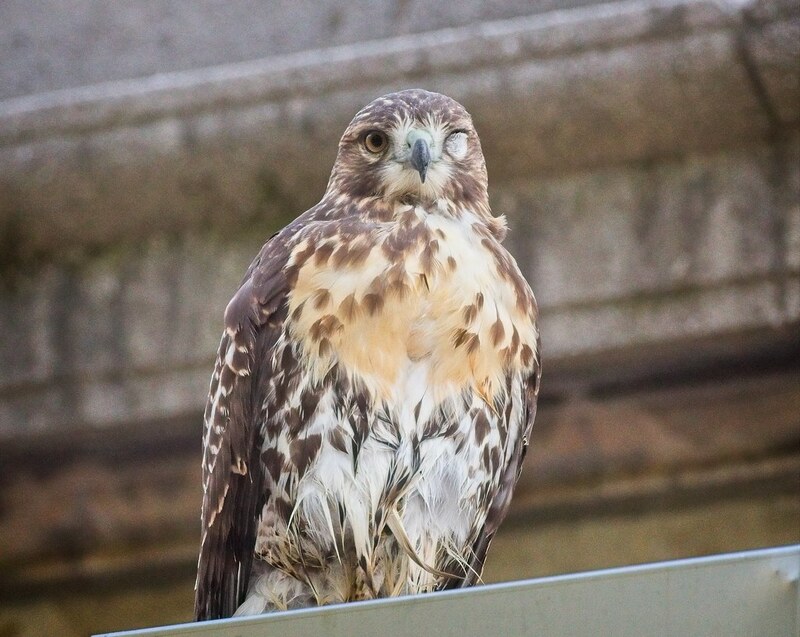 One way we can tell the hawk is not well is by looking at his eyes. 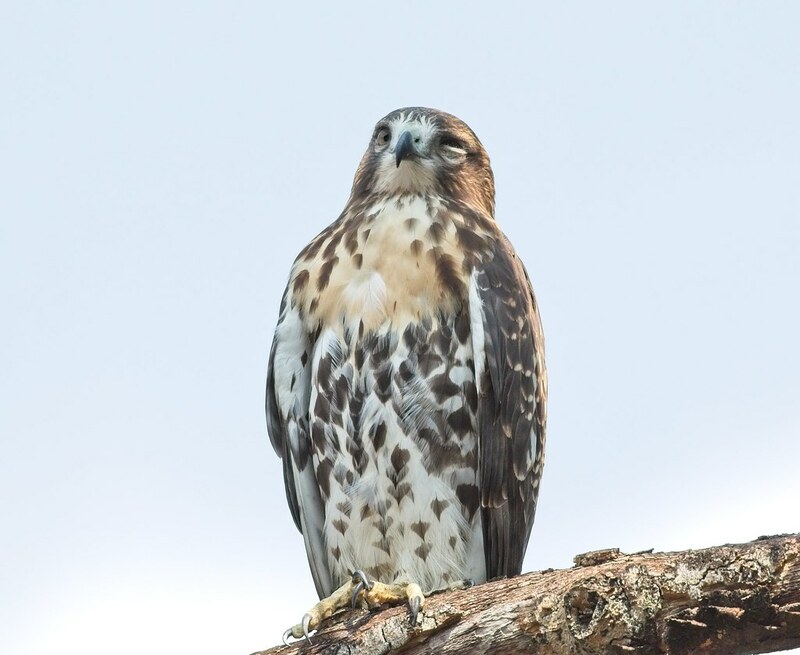 He either perches for long periods of time with his eyes completely closed, or he partially closes them, as seen in the photo below. Other symptoms are clumsiness, loss of balance and being lethargic. 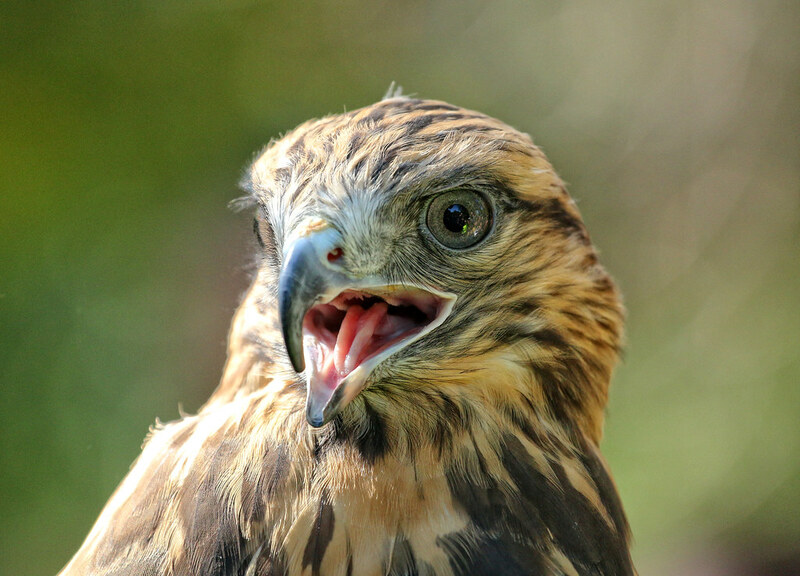 This is a normally energetic hawk, so sitting for hours without making a sound is not consistent with his usual behavior. The good news is he will probably pull through. 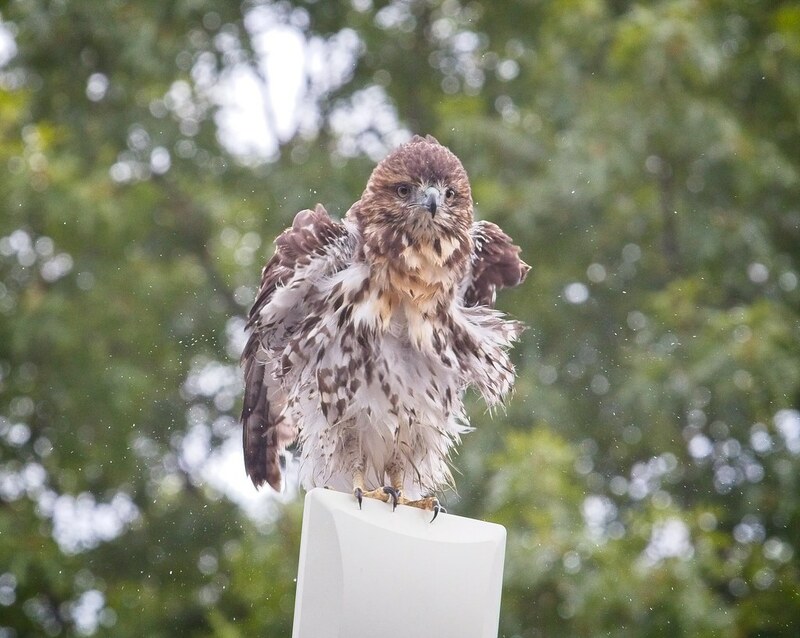 He's a strong hawk and a fighter. 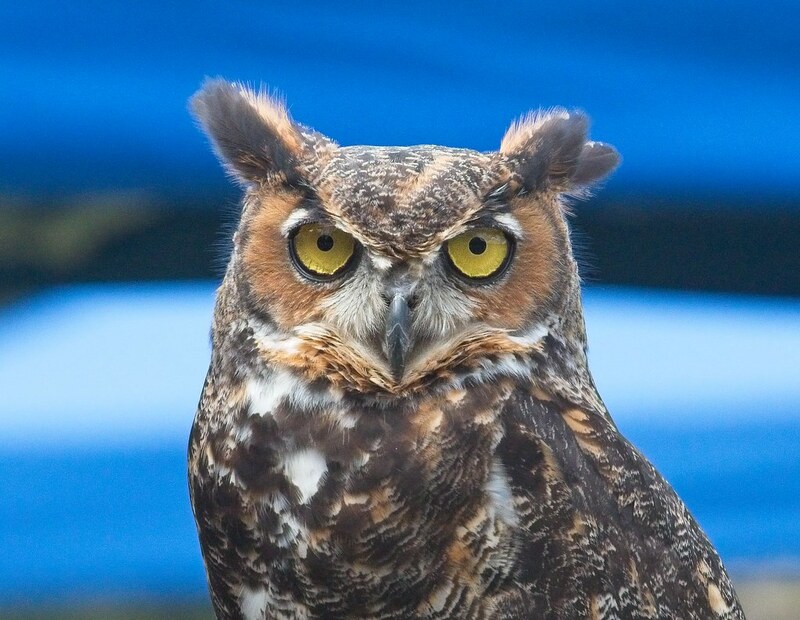 He appeared the worst on Saturday, August 25. Since then, he's had good days and days where he doesn't look very well, but none have been as bad as that Saturday. At this point, I can just hope he stays out of trouble and continues to improve. 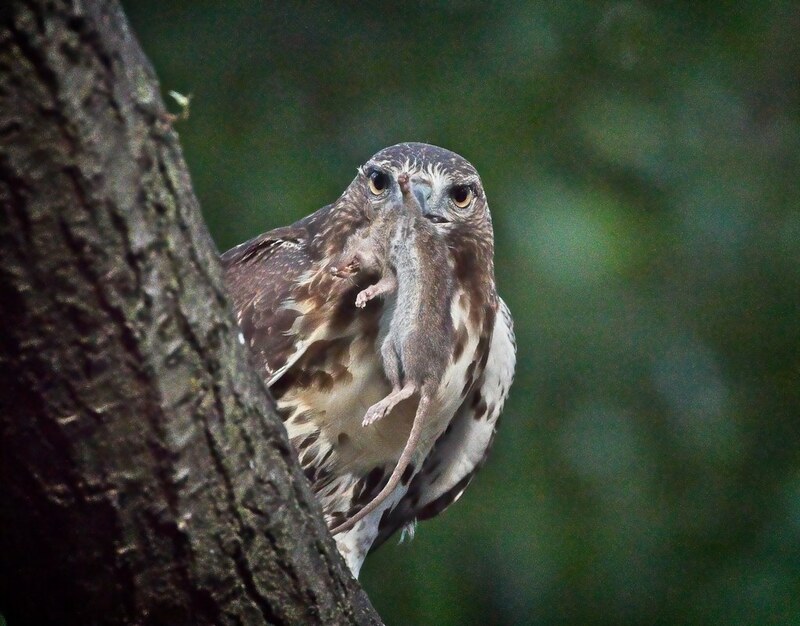 Despite being ill, the fledgling has had no trouble catching prey. He's also receiving food supplements from his parents. 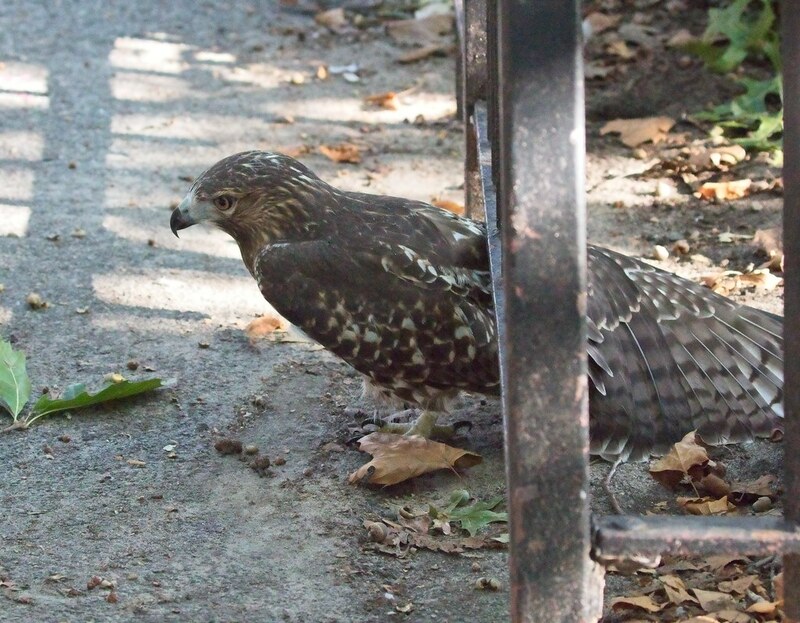 Something unique about this fledgling is his affinity for walking and crawling under fences, as seen below. I've seen him do this several times now and cannot explain it. 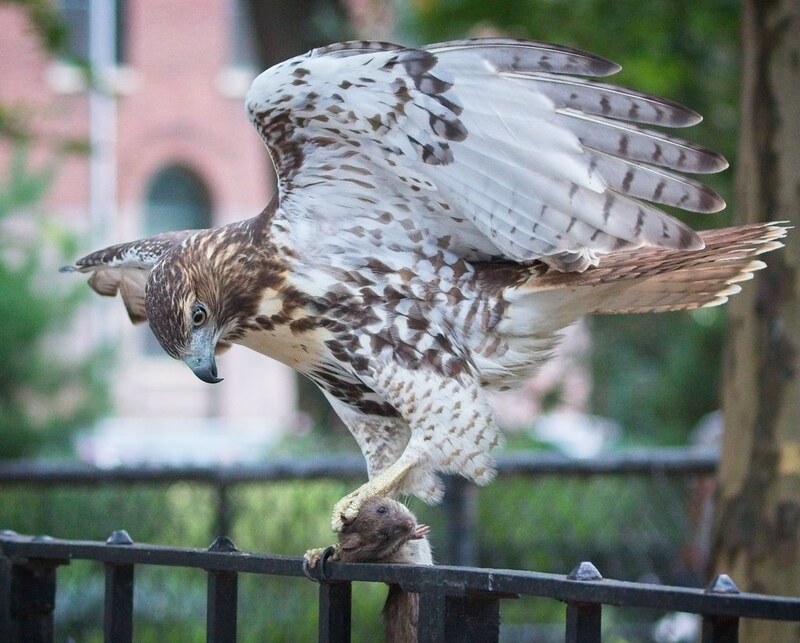 If there is a fence, he'll go under it rather than fly over. I'm hoping he grows out of this habit before he disperses. 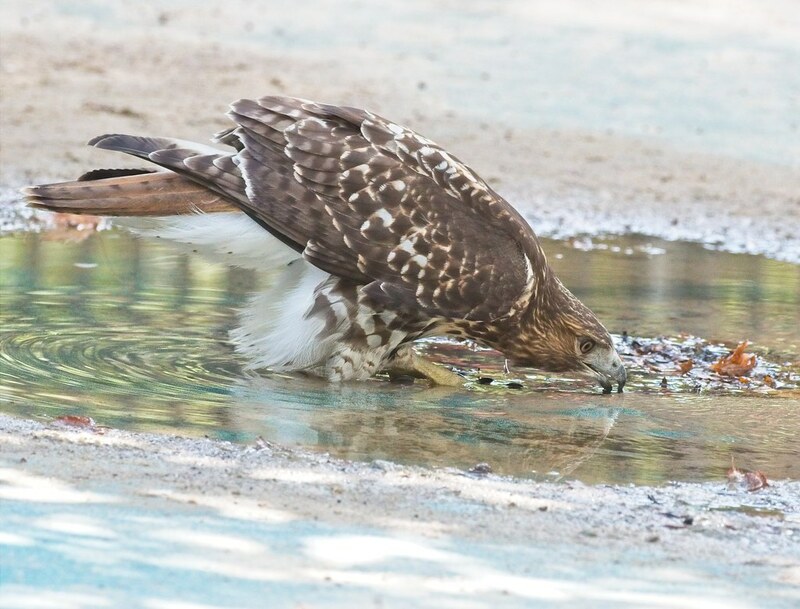 I was happy to see the hawk drinking fresh water this weekend rather than ingesting fetid water from the roof of the men's room, but he's still doing that, too. The pool on top of the bathrooms could very well be the source of mosquitoes that carry West Nile. 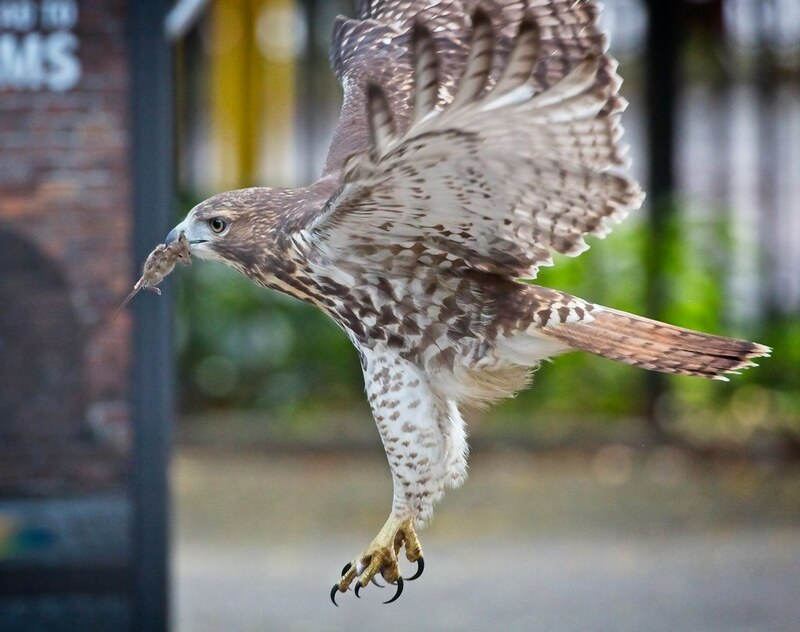 Although this fledgling spends a lot of time walking around on the ground and playing in the bushes, he does know how to soar. 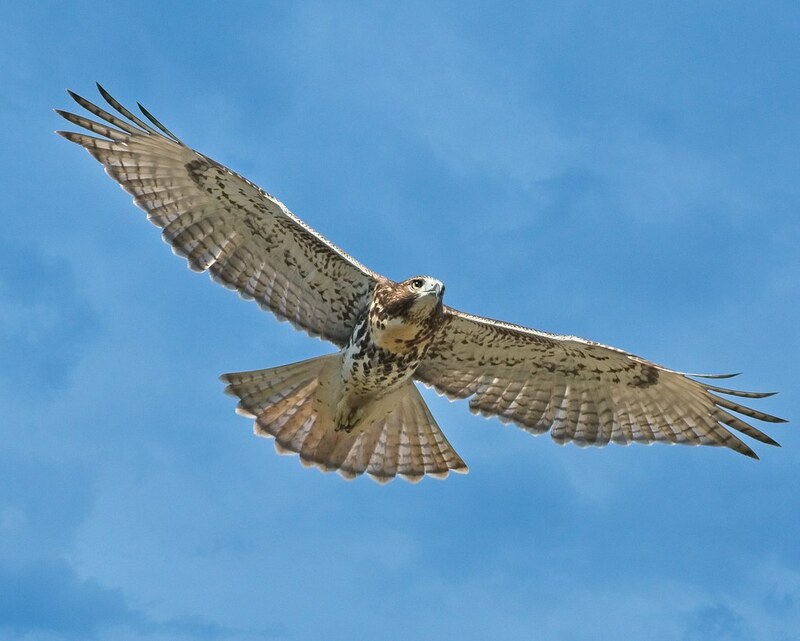 I caught him flying above the skateboard area last Friday turning circles high in the sky. 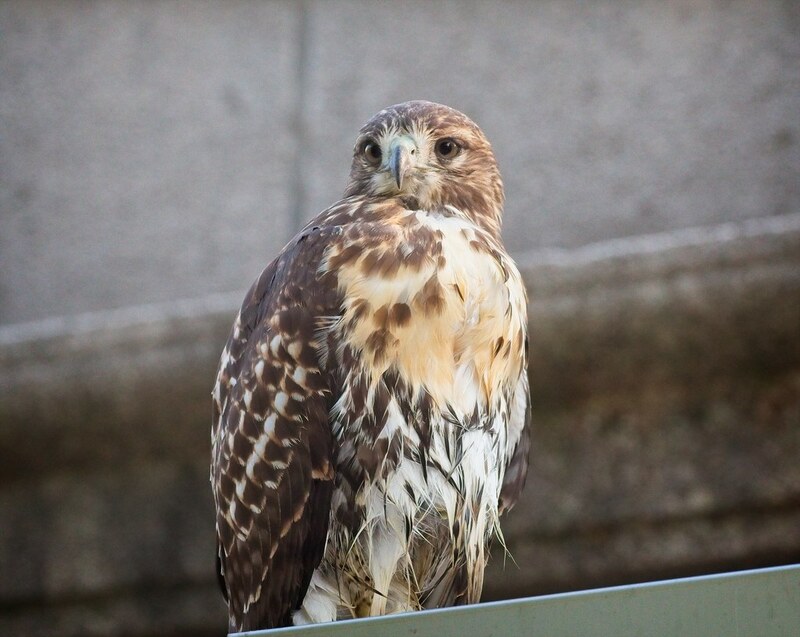 You can see more recent photos of the fledgling and his parents on my Flickr page. 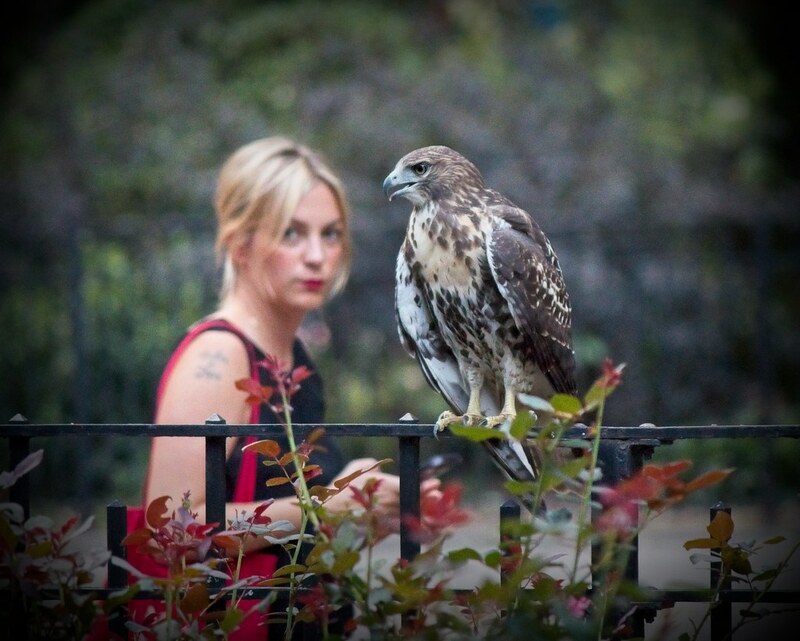 In related news, we recorded another hawk podcast with the eminent neighborhood blogger, EV Grieve. This episode is a follow-up to the one that aired at the beginning of summer. You can listen below, or visit the post on EV Grieve. 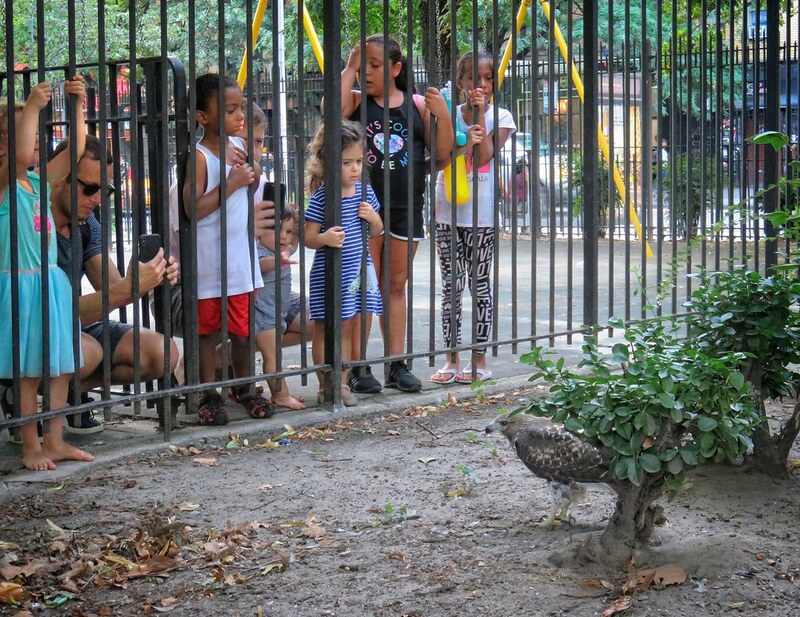 This episode was recorded on August 24, and as soon as I left the studio, I went to the park where I discovered the fledgling was sick. At the time of the recording, I had no idea anything was wrong. 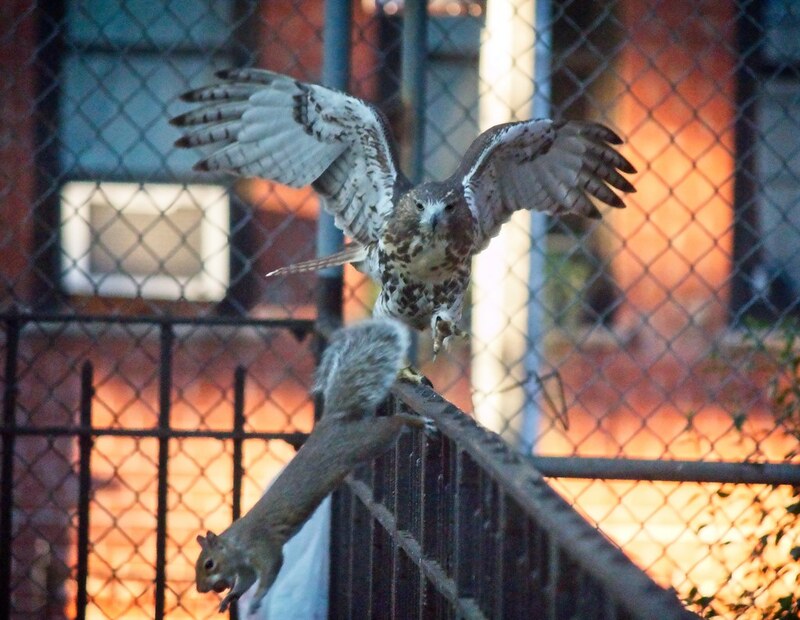 Thank you to EV Grieve for the continued interest and support of our local hawk neighbors.